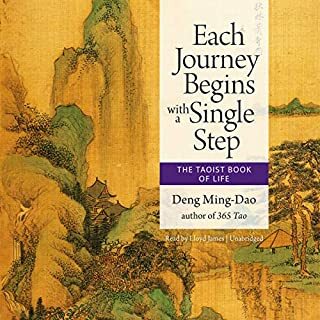 In this beautifully illustrated offering of ancient wisdom, Deng Ming-Dao shares the secrets of the spiritual path handed down to him by Kwan Saihung, his Taoist master, as well as by herbalists, martial artists, and other practitioners of the ancient arts. Deng tells how Taoist philosophy and practice may be integrated into contemporary Western lifestyles for complete physical, mental, and spiritual health. Taoist living rests on four pillars: the public, the domestic, the private, and the spirit lives. Not only do Taoists strive to live these four aspects fully and in a balanced way, they also believe there is an outlook and an art to each of them. 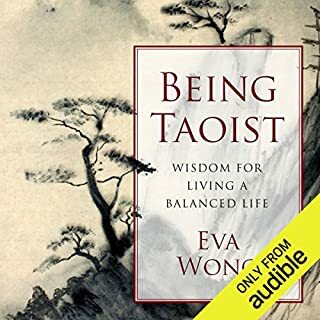 Eva Wong uses the teachings of Taoist masters themselves to explain the essential concepts. She then gives voice to these texts - simplifying them, removing barriers to understanding, and making them completely accessible and relevant to the modern reader. Portrays the life of the Chinese mystic, Saihung Kwan, and depicts his pursuit of the spiritual goals of the religion of Taoism. Deng Ming-Dao is the author of eight books, including 365 Tao, Everyday Tao, Scholar Warrior, and Chronicles of Tao. If you have not encountered Chuang Tzu before, prepare yourself for a treat. He was the sage who stood apart from all others in Chinese history. He was a unique presence, a great mind like no one before or since. Chuang Tzu quickly distinguished himself and became well known for his deep understanding and sense of humor. His mastery was such that he could explain the Tao with simple stories, and his humor was such that he could see the joy in ordinary things. The Second Book of the Tao is a gift to contemporary readers, granting us access to our own fundamental wisdom. Mitchell's meditations and risky reimagining of the original texts are brilliant and liberating, not least because they keep catching us off-guard, opening up the heavens where before we saw a roof. He makes the ancient teachings at once modern, relevant, and timeless. Place the word Tao into your heart. Use no other words. The Tao is constantly moving, the path that all life and the whole universe takes. There is nothing that is not part of it - harmonious living is to know and to move with the Tao - it is a way of life, the natural order of things, a force that flows through all life. 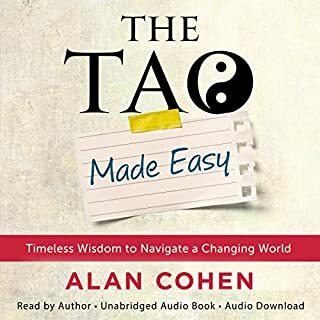 365 Tao is a contemporary audiobook of meditations on what it means to be wholly a part of the Taoist way, and thus to be completely in harmony with oneself and the surrounding world. Deng Ming-Dao is the author of eight books, including The Living I Ching, Chronicles of Tao, Everyday Tao, and Scholar Warrior. His books have been translated into fifteen languages. 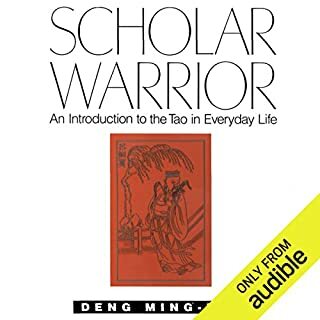 ©1992 Deng Ming-Dao (P)2013 Audible Inc.
As a scholar of taoist writings, and something of a taoist myself, I was pleasantly surprised here. Imagine an author who is bright and searching, and has occupied the thought (and tone -- the very resonance of the original) in tao te ching, and then journalized in compact statements various permutations, possibilities found in these explorations, in relation to everyday experience and thinking. I think this is a success in all these dimensions, and their joining in this work. The intentional poetry lines I like the least; the prose better glides right into the cadences of the original. There seem to be layers or levels of artistry resonating with the original, perhaps only semi-consciously sensed by the writer himself. But who knows, I'm not in his mind. 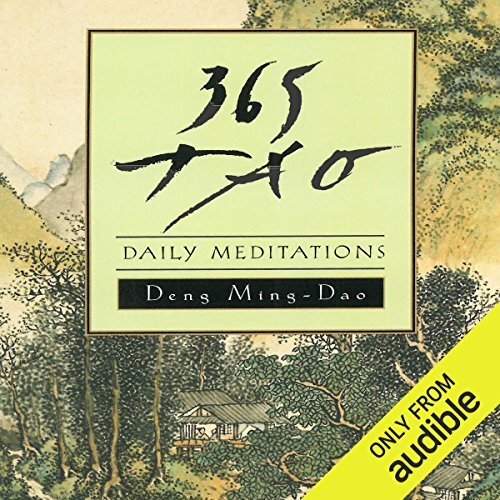 Even the "365" suggests a circle or orbit that is aesthetically taoist for me. It is a round book in that sense, not a square/linear one. I put this work alongside the chuang tsu as being in the first rank of thoughtful, graceful branchings from tao te ching itself. (Hence my calling it "classic".) These are the sorts of thoughts and reflections I might have arrived at in several years of my own random thinking (excluding the few any person would inevitably differ with or phrase differently), and I am thrilled to pay this fellow such a pittance to have accellerated that process and dished this up in such a fine way. In terms of its impact on me, I have listened steadily (and not in one-day increments -- I'm still too frenetic!) and my sleep and general demeanor are vastly better -- more calm and clear, deeper, less stressed. Many internal abrasive thought patterns are harmonized and freed from their stuck spots. This resonates back through better bodily and mental health. I kid you not -- the effect for me is quite palpable. If you already have a love affair with the Tao, if you catch fleeting glances of it in the swaying of a tree or hear echoes of it in the wind in a silent meadow, if you thrill at its crystalline structure in the perfect way everything in the universe fits, flows, laughs, and then dances off out of your monkey mind's grasp. If you have found yourself reading the Tao Te Ching and wanting something else, something more, something different, if you have read the simplistic non-dual writings of an awakened being and gotten it when others are saying, "Um....yeah...ok....so?," If you like resonating with the words of someone who has embodied what you *know*, if you like humming along with someone who is singing the song you have been learning your whole spiritual walk and have them fish silvery, splashing, wiggling, slippery, concepts out of the deepest, darkest, coldest, most silent primal ocean bottom of your spirit (which your fishing line hasn't been quite long enough to get to), you might enjoy this book as I have. I think I have created more bookmarks in this one book than all the rest of my whole library put together. I thoroughly enjoy sitting by the sparkling stream of its music. However, I don't want to misrepresent it. It's not poetic like I am, it primarily gives good, solid, useful wisdom to use for walking the path from the silent forest back out to the chaotic life of the market place. On a practical note, I have found it useful to listen at .5x speed. Slowing it down allows the richness of the message to sink in. The structure of the book is a daily thought for each day of the year. 365 discreet Taoist subjects, who would have believed it possible to lock down any non-dual teacher to be so verbose! A true treasure in my opinion. I love this book so much. I have it on Kindle. the reader does an amazing job! you can't help but feel calmed and soothed by her voice. 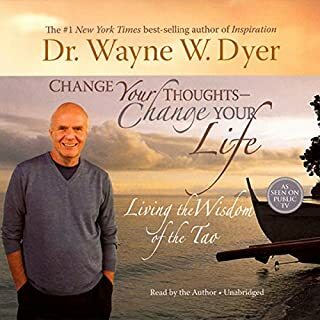 I've recommended the book and audiobook to others. Ever wonder why the Chinese people chafed under the oppressive yoke of absolute monarchs for thousands of years? Well with this intimate look into their overarching philosophy all will become exceedingly clear. Spirituality does not mandate defeatism. Western values conflict with this work on many levels. I very much hope that there is a better introductory Dao book in existence, because this ain't it. Spare yourself the dreadful poetry and just pick up the bible. Perfect capture of spiritualism. 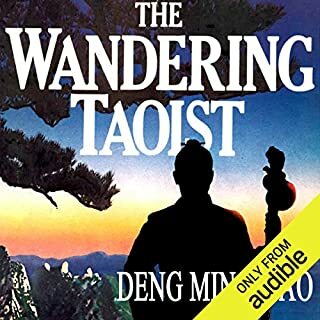 Would have liked to hear a wise old Chinese man reading this but still a great narrator. Strongly recommended for folk relatively new to Taoism or interested in eastern faiths in general. I got a lot out of this book. As soon I finished I started again.